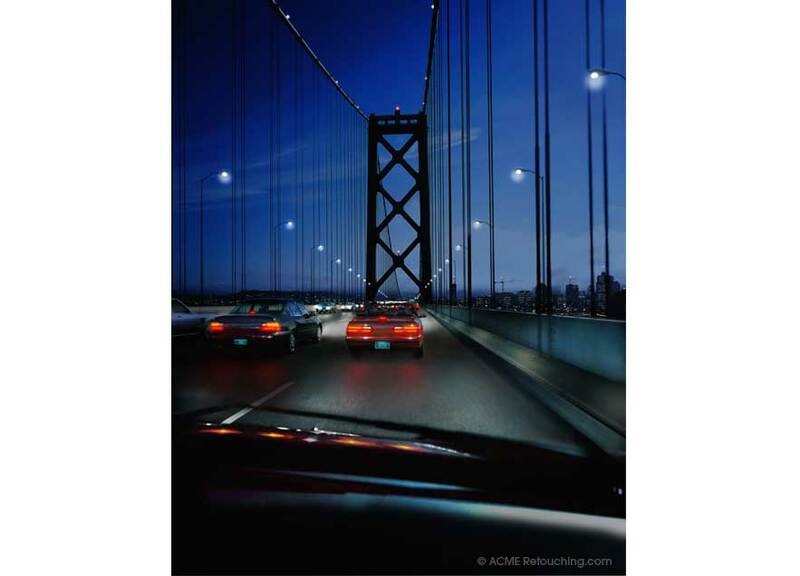 Bay Bridge Day-for-Night © ACME-Retouching.com Professional Photo Retouching. Photo retouching of Oakland Bay Bridge 'day-for-night' effect. Also added oncoming traffic, streetlights, etc. Large poster format.